Rick Job passed away in Molalla on March 25, 2016, at the age of 62. 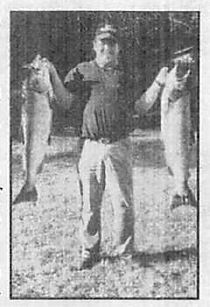 He was born to Arthur and Arvilla Job on Jan. 28, 1954, in Jamestown, N.D.
Rick's greatest passion was fishing the rivers of Oregon with his long time best friend, Pat Bryant. Nascar racing also caught his interest. He and his mother enjoyed many hours watching the races, eating pizza, drinking beer, and reviewing each of the races. He appreciated the great friendship of his colleagues when he was employed at Americold Logistics in Woodburn, Ore. He was in the process of early retirement. He is survived by four daughters, Rachel, Natalie, Katrina and Jennifer; six grandchildren; his mother, Arvilla; two sisters, Cindy Coleman and Lisa Wimsatt; two nieces, Ashley Coleman and Amber Wimsatt; and one nephew, Jimmy Wimsatt. Ricky Job, 62, passed away on March 26, 2016 in Molalla, Oregon. He was born in Jamestown, ND on January 20, 1954.